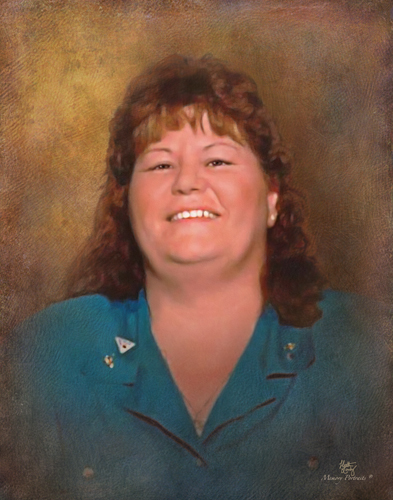 Barbara Diane Rice, 61, of Callahan, Florida passed away Wednesday November 7, 2018. She worked for the State of Florida in the Department of Children and Family services and worked for Pepsi for 10 years. She is a former member of Assembly of God Church Callahan. She is preceded in death by her parents, B.C. and Barbara Little, son Brian Reid, brother Ronny Little. Survivors include her husband Timothy Rice, sons Charles Reid and Chad (Jennifer) Wool, grandchildren AJ and Aaron Wool, brothers Terry Little, Kenneth Little, Jerry Little, Ricky Little, and Bill Little, several nieces and nephews. Funeral Service will be 2 PM Monday November 12, 2018 at Evergreen Chapel. Interment will follow in Evergreen Cemetery. Visitation will be 1 hour prior to the service in the chapel. Arrangements are with Evergreen Funeral Home and Crematory 4535 Main Street Jacksonville, Florida 32206 (904) 353-3649.